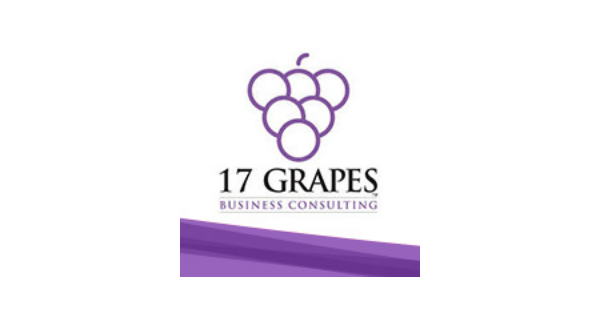 17 Grapes is a professional services firm that provides consulting services to help clients customize and implement Salesforce.com®. Services include process improvement, implementation, optimization, development, integration, training and support. Salesforce.com® is the world’s #1 CRM system that businesses of all sizes use to increase efficiency and effectiveness. Our clients achieve extraordinary results by plugging ordinary employees into well designed systems. We work with clients to implement systems that bring order and visibility to their business allowing them to make informed decisions based on real time information. 360 Degree Cloud is a cloud based CRM company. We are specialised in Salesforce.com Implementations and have done the same over the years for our various Marquee Global Clients across USA, UK, Australia, Singapore, Malaysia and India. We know what it takes to make salesforce.com work for you. We are masters in our domain and know the systems inside out. Our Certified Team will work closely with you to understand, analyze and build the system as per your needs. We value your licensing cost and thus ensure that you go live within 2 days after purchase of the Licenses. Acteion is a management consulting and business solutions company. Our business advisors and partners have 20+ years of experience in helping our customers with On-Demand CRM, Sales Performance Management, Demand Generation and Business Intelligence. Acteion’s proven methodologies have helped numerous business organizations both small and large to gain a better ROI on their on-demand technology initiatives. Agilidi brings agile solutions to business challenges with cloud applications and platforms like Salesforce.com, Marketo, Conga, and EchoSign. Agilidi’s technology-enabled professional services are supported by a team of Salesforce.com Certified Sales Cloud Consultants and Administrators. A semi-serious, assorted collection of professional salesforce.com/force.com nuts who help clients manage, track, and follow up on their STUFF. The Basati team helps businesses build a stronger business foundation to better compete in their chaotic marketplace. Basati has a heart for working with companies just exploring Salesforce.com and Force.com platforms. For these SMB (small- to medium-sized businesses) implementations, we get the client started on the right path, ensure they are not overwhelmed with the perceived complexities of the platforms, and ensure return on investment. We do this by offering affordable services, listening to the needs of our clients, and coaching them through best practices for greatest returns. Large companies also come to Basati for Salesforce.com support and enhancements. For these bigger projects, we deploy a dedicated, senior consultant to run and support the project with an experienced and dedicated team of developers experienced in all aspects of the platforms. This allows us to fulfill any request a client may have for their platform. BlackIron Group is a boutique management consulting firm dedicated to the Retail & CRM sectors.With deep business and technology knowledge, we deliver superior design and implementation of strategy, technology, and process solutions.Black Iron Group brings our clients a variety of initiatives and innovations that ultimately help drive revenue and cost savings, deliver bottom line results and enable our clients to move to a higher level of performance. Our services are flexible. Our firm has spent over 70 years collectively in the IT sector and we understand CRM and Retail like no one else. We can help with sophisticated, multi level complex projects, or small–scale simplified installs, as well.And, as experienced project managers, working on million dollar projects for many years, we can deliver full–scale project management and implementation services. We will be your “On Demand” services partner, similar to the way Salesforce.com® delivers your state–of–the–art CRM solution. Black Iron Group is a Salesforce.com® certified integration partner and with over 100 successful implementations and counting. We can help your company be successful, as well. Brio plans, designs, and executes innovative digital projects that make your job easier. We work with businesses to find ways they can gain a competitive edge, whether that means beating a competitor to market with a new app, using data to make better decisions, or building an interactive website. By understanding the unique business and challenges at hand, we approach each project with a fresh outlook that's backed by the sound advice of our team's years of technical experience — and informed by the business's own expertise in their industry and processes. Cirrius Solutions is a leading integration partner with certified consultants to help you get the most value from Salesforce.com implementation. We focus on strong upfront planning, best practice development, data integration, system testing, training and support. Our customers are all sizes across industries such as high-tech, professional services, distribution and retail. The fast-growing companies across the world choose Cirrius Solution to help them engage their customers and drive more sales with Salesforce.com. We offer strategic consulting, implementation, data migration, custom development and change management services to drive business outcomes in weeks, not months! Providing agile development implementations based on proven best practices and solidimplementation methodologies. Our proven approach allows us to build integration solutions using 10 - 60 day deployment cycles to deliver results quickly. We have success stories with international implementations from 50 to over 1200 users. Cirrius Solutions is made of developers who are passionate about what they do and love challenges. We invest in building our people’s expertise and as a result, our people are the best in the business. Callisto Technology is a technology-based startup company providing professional services that focus on systems integration, application development, business analysis and automation. Founded by tenured corporate business leaders and technologists, Callisto will be targeting the Real Estate, Insurance and HCM vertical markets amongst others. Great client experience and satisfaction is what Callisto strives for with each client interaction. At Cloud Conversion, we’re passionate about success in the cloud. We strive to create innovative and pain-solving applications in the eCommerce space. This is made possible by listening to our customer’s needs and leveraging the Salesforce.com platform to deliver the solutions. At Concentric SMB Solutions, we share a common focus with our clients: their customers. Every solution we provide is custom-built to reflect this value, and our services are focused on your unique business. Ultimately, our goal is to become your strategic partner, and to help you drive differentiated, deeper engagement with your customers. When you are successful, we are successful. We are a proud member of the Salesforce.com ecosystem, and we build our solutions using the world's #1 CRM software. Our solutions also include other best--of-breed solutions, as well as custom-developed functionality built on the Force.com platform. Corrao Group has worked with companies for more than ten years to achieve their major strategic goals and business initiatives. The Corrao Group’s extensive team of highly experienced subject matter experts provides a full spectrum of business services, from Accounting and Finance to R&D, Manufacturing, Supply Chain, Operations, Support, Sales, Marketing, Human Resources and Business Development. Their expertise implementing Salesforce and ERP applications will provide you complete control of your company-wide initiatives. And by ensuring the continued alignment and focus of all participants, the Corrao Group’s Business Lifecycle Management process accelerates the key initiatives upon which your future success depends. CRM Advantage is a certified consulting partner for salesforce.com®, the world leader in on-demand customer relationship management applications. That means we can take the complexity out of your salesforce.com implementation, whether you work for a Fortune 1000 company, university, government agency or small startup business. We're also specialists in business process engineering, with consultants skilled at helping you operate more efficiently and stand out from the pack in a crowded marketplace. In each instance, we begin by fully understanding your business and taking a holistic look at your customer-facing operations. We closely examine workflow and suggest faster and better ways to get things done - including adoption of "best practices" processes and tools. If you're ready to move to salesforce.com, we configure your application, import company and customer information, and provide hands_on training so members of your team can easily navigate through your new database. Most importantly, we help you earn the companywide buy-in you need to get more out of your salesforce.com investment. Cynoteck was founded in 2008 with a vision and passion to provide services in the areas of web solution, application development, Mobile Apps, Website Development, e-business web site solutions and CRM solutions. The company is based in Dehradun, India. Away from the traditional IT hubs and with lush green surroundings, it gives fresh minds a nice place to work. Cynoteck is the torch-bearer for IT solutions in the area. It is a dynamic and professional IT services provider that serves enterprises and individuals, helping them meet the challenges of the global economy. It offers diverse offshore IT services, providing dedicated teams for outsourced product development, application enhancement and maintenance. They have expertise ranging from consulting on business and technology, to creating innovative technology solutions. DLB Consulting was founded in 2006 by Freddy Perez, who brings over 25 years of experience as regional partner of one of the Big Four consulting and audit firms. For 15 of those years, Mr. Pérez was its managing partner in the Dominican Republic.DLB Consulting takes pride in our deep commitment to our clients. As a boutique firm, we work hard to maintain close relationships with senior management, while preserving the rigor and independence that allows us to be the most objective and creative. We adhere only to the highest standards of integrity, honesty and unbiased professional judgment. DLB endeavors to excel in every project, developing timely world-class solutions while capitalizing on our deep understanding of the Dominican market and business culture. This is something that our clients value greatly. It strongly motivates us to ensure that our pioneering work is not only underpinned by value creation and growth, but also truly responds to each of our clients’ specific needs. Equinox Technology Partners delivers increased sales, exclusively for small companies, by implementing cloud technologies and sales management best practices. We do this fast, reasonably and in a way that works best for your company. Equinox Technology Partners is a nationwide professional services firm located in Sonoma, California.Our team has worked with hardware, database, application software and technology services since the early 80’s and with Salesforce since 2005. Each member of our team has over twenty years experience in their discipline. MK Partners headquartered in Los Angeles is the leader in salesforce.com consulting for Corporate,Public Sector, Educational Institutions, and Nonprofit Organizations. Leveraging Kaufman’s extensive experience gained during his tenure as a consultant at Salesforce.com, MK Partners has become one of the premier salesforce.com service providers. MK Partners works diligently with its clients to provide solutions to all of their business needs. With extensive expertise using Salesforce.com, MK Partners provides customer care that is efficient, accurate, and advantageous to your needs. MK Partners practices what it preaches by using Salesforce.com for its internal processes and staying on the forefront of software as a service and other web technologies. NEXGEN Consultants is a Salesforce.com Implementation Partner Headquartered in Cincinnati,OH. NexGen Team offers configuration,Consulting, Training and Implementation of Salesforce.com and Force.com Platforms for Clients accross the World. The SMB Help Desk is a Salesforce.com partner that focuses on Salesforce.com implementations and support for medium- and small-businesses. The organization brings broad experience and enterprise-level knowledge to support their clients get core processes within Salesforce.com and then expand and grow into the system. Torrent Consulting provides management, sales, marketing, and technology consulting for companies looking to grow and automate their business by leveraging cloud, social, and mobile technologies. Through our partnership with Salesforce, we have extensive experience guiding companies in their planning and implementation of cloud solutions. Traction is a consulting and cloud software development firm with unparalleled expertise in Salesforce.com implementations, data quality and marketing automation. Our ultimate goal is to streamline business process by bending cloud based technology around business users. Our enemy is redundancy. The results, reduce barriers to success and ultimately increase our customers’ bottom line through sales, marketing and operational alignment. Veltig is a certified Salesforce.com Could Alliance and ISV Partner with resources in San Francisco, Los Angeles, San Diego, North Carolina, and Sydney, Australia. We take pride in our creativity, flexibility, relentless focus on quality, and ability to truly understand your business objectives when delivering world-class service. We implement and integrate Salesforce with many products across many industries and specialize in Solar, Entertainment and Hospitality, and Salesforce - ERP Integrations. Our services include discovery, design, application development, Apex development, data migration, implementation, training, and ongoing support. We also practice what we preach as we leverage and integrate Salesforce and utilize cloud-based solutions such as Google Apps and QuickBooks for our own organization. VennScience is a boutique cloud consultancy committed to delivering expert guidance to companies looking to realize the benefits of cloud-based business applications. VennScience's service offerings include: technology implementations, optimizations, system administration and training.